Juniors – Groups: the result of the 1st rotation. 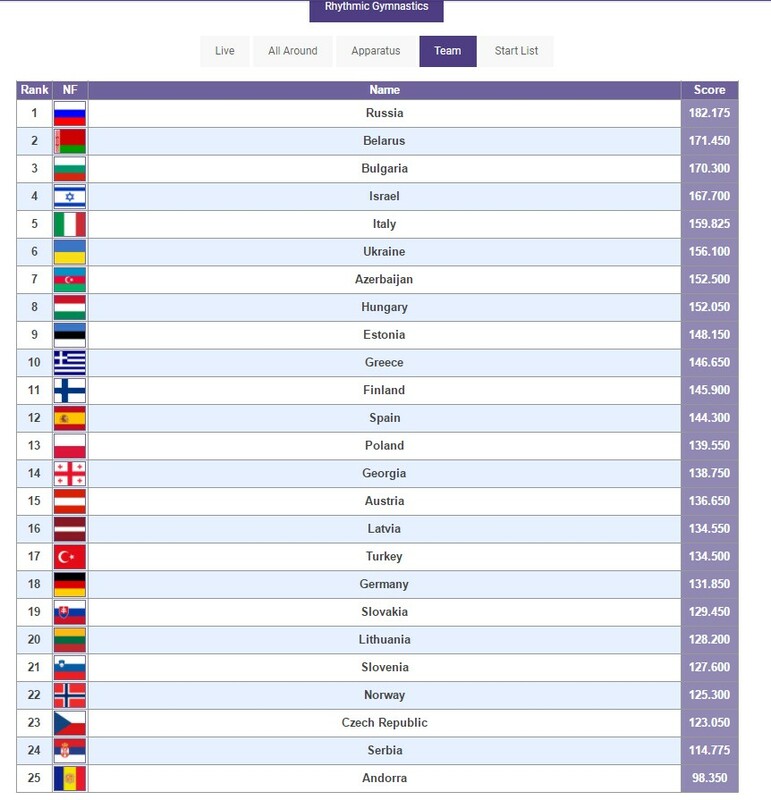 Juniors – Groups: the result of the 2nd rotation. 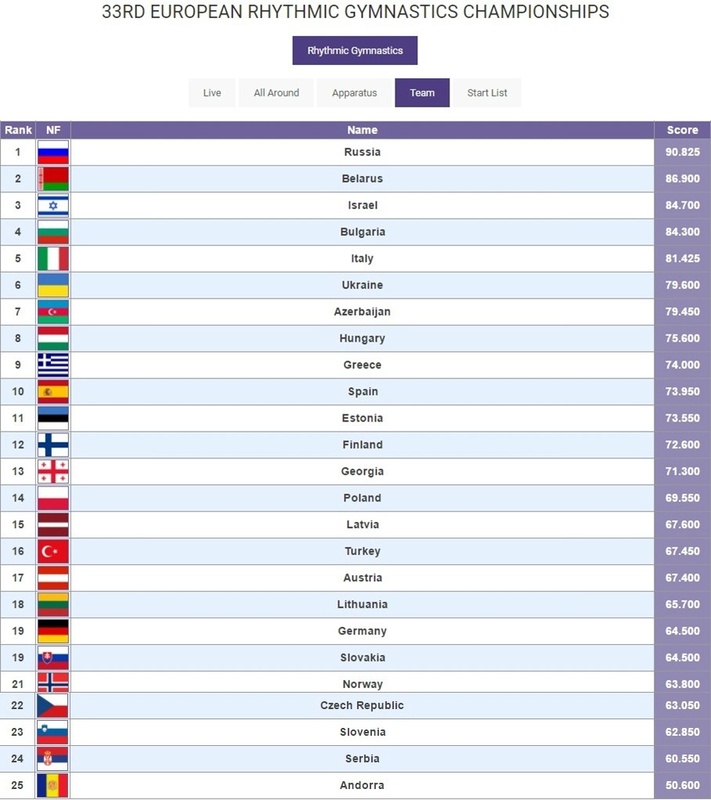 The above-mentioned results of the 1st and 2nd day will be added; the best Federation will receive the title “European Team Champion in Rhythmic Gymnastics”. 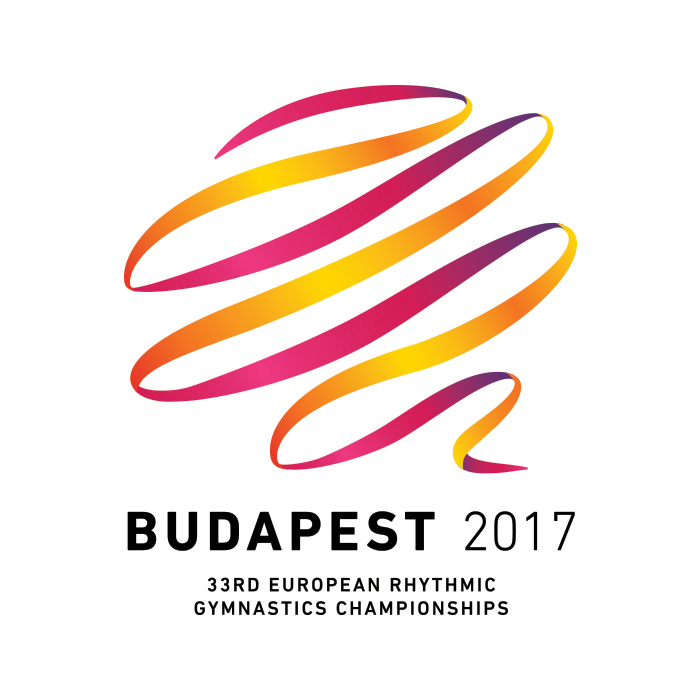 This entry was posted in Event and tagged 33rd European Championships 2017, 33rd European Championships Budapest 2017, 33rd European Rhythmic Gymnastics Championships 2017 - Budapest (HUN), Budapest 2017, European Championships Budapest 2017. Bookmark the permalink. due to copyright, this video is blocked in Bulgaria by youtube. and this is podium training video, at 0:52 Harnasko was doing ribbon.